We are followers of Jesus Christ, our Lord, and we believe in the Father, the Son, and the Holy Spirit. We meet every Sunday at 10:30 AM to worship and share our Lord's Supper. All are invited to find a spiritual home with our church family. 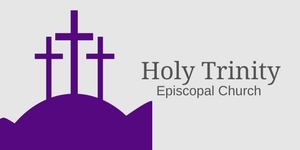 The Episcopal Church is part of the worldwide Anglican Communion and traces its heritage to the beginnings of Christianity. Our liturgy retains ancient structure and traditions and is celebrated in many languages.